Banerjee only read out the dire predictions for the NDA without revealing who it came from. Leaders are conjecturing that it must be from “somebody important” as it came to her directly on her personal number. 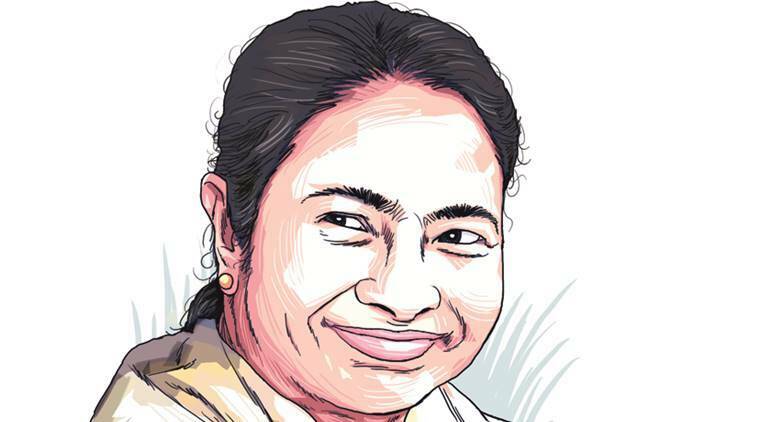 A mysterious message that West Bengal Chief Minister Mamata Banerjee read out during her press conference on Wednesday with predictions for results of the Lok Sabha elections has left even leaders in her own party wondering about its provenance. Banerjee only read out the dire predictions for the NDA without revealing who it came from. Leaders are conjecturing that it must be from “somebody important” as it came to her directly on her personal number. Indian elections are not the only thing occupying the minds of those in the diplomatic community. Israeli citizens posted in India voted on Thursday for the Knesset, the Israeli parliament, ahead of the general elections set to take place in Israel on April 9. Israeli diplomats in New Delhi, Mumbai and Bengaluru took part in the early polls — three ballot boxes count for over 100 votes in India. The embassy is among 96 missions worldwide voting on Thursday, accounting for 5,000 voters. Recently PM Narendra Modi drew the chagrin of disability rights activists after he use the term dyslexia as a pejorative during an interaction with students. On Thursday, as the CPI(M) released its manifesto in the run-up to the elections, disability rights groups termed it a “historic occasion for the disability movement in India” as this was the first time a political party had released an audio version of its election manifesto. They were also enthused as the manifesto promised proper implementation of and sound budgetary support to the Rights of Persons with Disabilities Act and the Mental Health Care Act in addition to a slew of measures aimed at persons with various kinds of disabilities. Ever since Pakistan’s High Commissioner Sohail Mahmood visited Kolkata this January, he has been praising the intellectual traditions of the city. During his short visit, he visited Calcutta University, which was established in 1857 and is the oldest in South Asia and has had four Nobel laureates associated with it. He also visited Missionaries of Charity, apart from interacting with some think tanks. During Pakistan’s National Day celebrations last Friday, he was all praise for the intellectual connect of the city, and recalled that there was an “Iqbal Chair” as well as Pakistan and West Asia Centre functioning at Calcutta University.